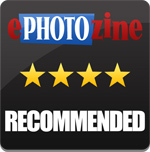 John Riley reviews the Meike 6.5mm f/2.0 Fisheye lens, available for mirrorless cameras in Micro Four Thirds, Sony E, Fujifilm X and Canon EF-M lens mounts. The fisheye lens is clearly alive and well throughout the various makes available, as a dazzling array of options is there for the taking. These fall into various categories, but essentially the main difference is between those that offer a full frame image and those that offer a circle within the normal image format. This new Meike lens offers a circular or most of a circular image depending on format, a wider than usual field of view and a very compact, inexpensive package. 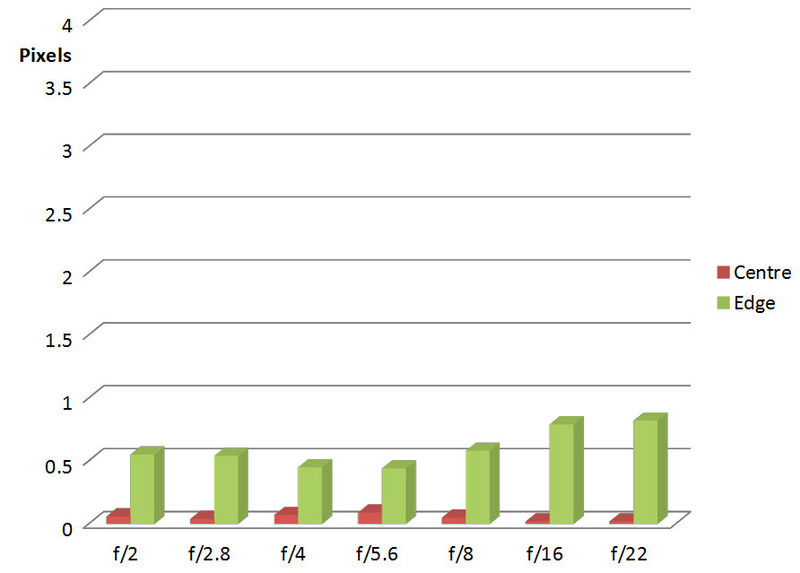 So far so good, now let's see how the actual performance and usability match up. The lens is small, not overly heavy at 300g, and offers a very wide f/2 maximum aperture plus a very wide 190-degree field of view. Definitely there is a need to watch out for fingers, feet, shadows and coats edging their way into the pictures. The image circle suits APS-C format, but the version used here is for MFT and on the Panasonic Lumix G6 used for the review offers a circle cut off at top and bottom. The normal easy recognition of the field of view of a lens via its focal length breaks down with fisheye optics and any focal length from this 6.5mm to 17mm might still be a fisheye. The description means that straight lines are no longer straight and the lenses have huge creative potential for a wild and wacky view of the world. In the 1960s, fashion photographers took to the fisheye lens in droves, along with the wacky fashions found in Carnaby Street. The front element is not excessively large, but it is slightly bulbous, leaving it quite exposed to potential damage. There is no possibility of employing a lens hood as the field of view is so wide. The push on lens cap fits well, but there is not much lens for it to slide onto. As a consequence it could be easily lost, so a little care is needed. The lens comprises just 6 elements in 5 groups, a fairly simple construction for such an ambitious specification. The lens elements are Multi-layer Nano Coated to help prevent flare. As there is no lens hood this needs to be highly efficient. 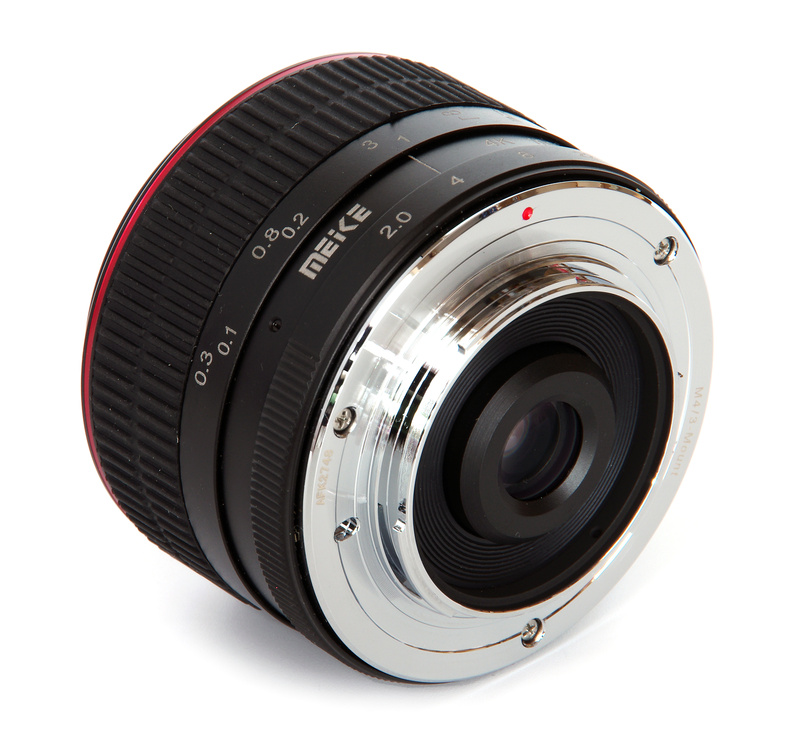 The wide and smooth focusing ring uses internal focusing, down to a very close 5cm. The length of the lens does not change during focusing, very useful when we get in close. Closest to the camera body lies the aperture ring, marked only in apertures f/2, 4, 8 and 22. For the purposes of making the resolution test more helpful I have estimated the in between values and included those in the graph. The aperture ring is free of click stops, which is fine for videography, but as the ring can be easily moved when focusing it is a pity that switchable click stops are not available as well. The diaphragm itself comprises 9 blades, but these being flat there is still a definite shape to the aperture and it perhaps would benefit from rounded blades. Finally, the mount is well engineered, plain metal without any electronic contacts. All functions of the lens are totally manual and no EXIF is recorded regarding apertures used. The lens is available in MFT, Sony E, Fuji X and Canon EF-M mounts. In terms of handling, most of this comes down to using a circular fisheye in an effective way without the images looking very much the same. Used all the time the effect would no doubt be boring, but in certain instances, these lenses can be used with tremendous effect. It is even possible to shoot fairly normal looking landscape and even architectural images, provided the subject is far enough away and central in the composition. Images still look very wide, but without central distortion. The biggest difficulty after that is focusing, and with EVFs and camera monitors this is something we can more or less forget. Estimating or measuring distances is more practical, or indeed relying on the huge amounts of depth of field. For close up images this is more critical, but for outdoor shots at any distance using a “snapshot” setting around the hyperfocal distance is more than good enough. As always, this enables a more spontaneous approach to shooting and the fisheye lens can, without doubt, be a lot of fun. Fisheye lenses are not designed for being assessed with flat test targets, so it's interesting to see how well the lens actually performed under test conditions. At the centre, sharpness is excellent even at f/2 and f/2.8, rising to being outstanding between f/4 and f/8. 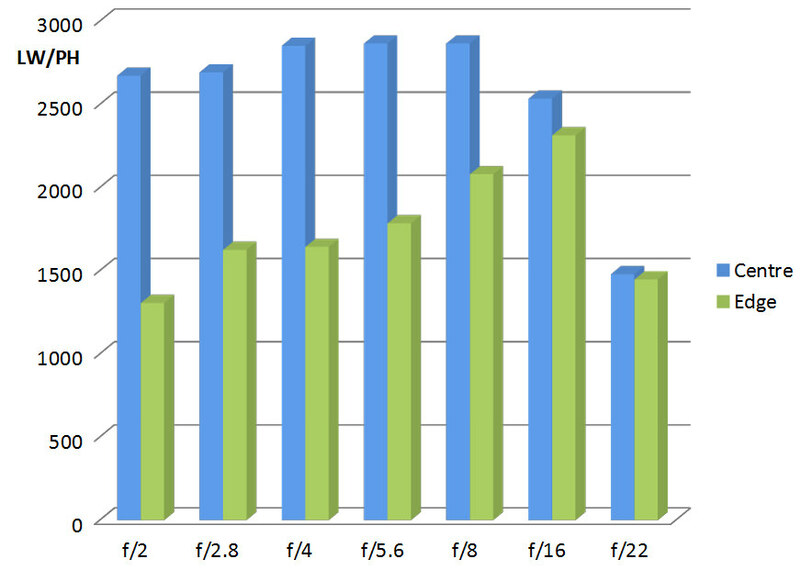 It is still excellent at f/16, only falling away at f/22, although even here a good standard is achieved. The edges start off soft, with only fair sharpness at f/2, but this becomes very good from f/2.8 to f/16, again dropping away as expected at f/22 but still giving a good result. This is all a very satisfactory performance, and it translates at more normal distances into a very crisp and pleasing lens. 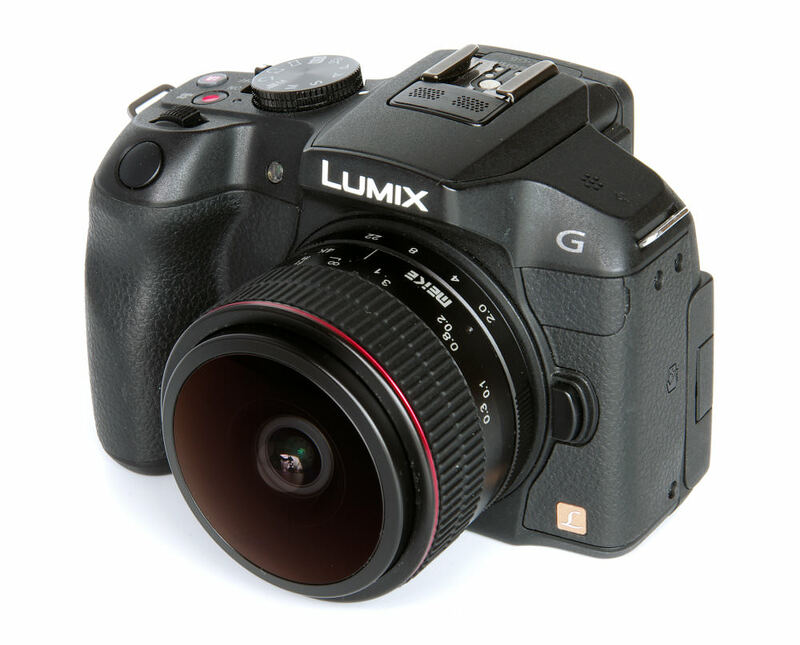 For this review, the lens was tested on a Panasonic Lumix G6 using Imatest. CA (chromatic Aberration) is highly controlled by this lens, so much so that it is hardly in existence at all at the centre of the field. The edges do show a small amount of fringing, but very little and it is again well controlled. I would not bother correcting further in software as the lens already does such an excellent job. No lens hood is possible, so it is good to report that the resistance to flare is excellent. Even shooting directly into the sun it is very difficult (although not impossible) to create any flare patches. There is also very little sign of any loss of contrast. An excellent result. Distortion is of course quite extreme, and quite rightly so for a fisheye lens. It is part of the delight of using this type of optic. Bokeh is the quality of the out of focus areas in an image, and, of course, here we immediately have a problem in that there are few out of focus areas and those that there are are so small in terms of detail as to merely look “busy”. This is not a lens that will be bought for stunning bokeh effects, it is of a totally different character that has little common ground with the concept. 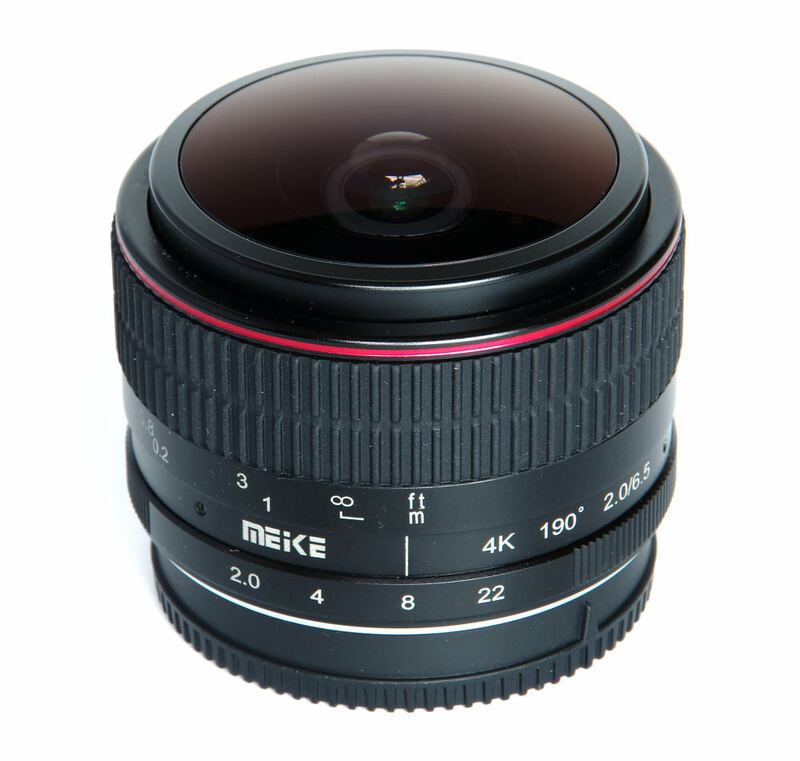 The Meike 6.5mm f/2 lens is available from Amazon for £128, an attractive low price. In contrast, the previously reviewed Meike 8mm f/3.5 is priced at £169 and the Kelda 8mm f/3.5 at £180. The Samyang 8mm f/3.5 UMC CS II fisheye lens costs £239. When we cast the net wider, there is a dazzling array of fisheye lenses, both frame filling designs and circular image designs. Those throwing a full circular image include the Sigma 4.5mm f/2.8 EX DC HSM (£599) and the Lensbaby 5.8mm f/3.5 Circular Fisheye (£259). Frame filling lenses, almost all designed for smaller formats such as APS-C or MFT, include the Sigma 10mm f/2.8 EX DC HSM Diagonal (£479), Sigma 15mm f/2.8 EX DG (£499), Nikon 10.5mm f/2.8 G IF-ED AF (£585), Sony 16mm f/2.8 (£799) and Olympus M. Zuiko 8mm f/1.8 PRO (£799). There are also numerous fisheye zooms, body cap fisheye lenses and front lens converters, plus, for the diminutive Pentax Q system, the SMC Pentax 3.2mm f/5.6 at £79. The Meike 6.5mm f/2 has to be seen as very good value indeed, especially considering the bright f/2 aperture and the high level of sharpness. The circular fisheye lens is a fairly specialised tool, the frame filling designs being much more prevalent and arguably more generally useful. However, who could argue with that f/2 aperture, with the quality of the results, with the excellent price, with the solid construction? The only difficulty is that judging manual focus is well nigh impossible, but the huge depth of field can cover most situations very well. If we want to delve into the fisheye world at a reasonable cost and no compromise on quality, then this could well be a very strong contender. 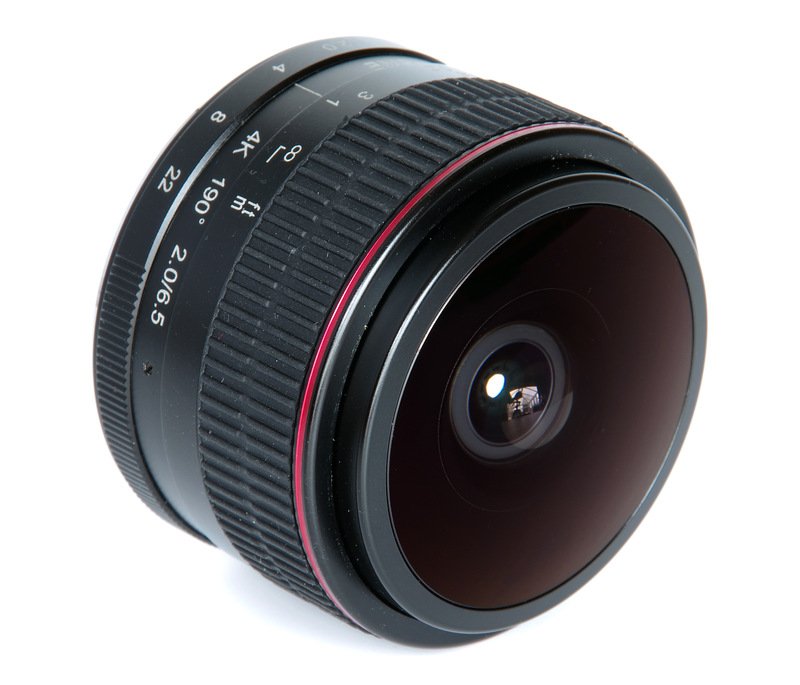 The Meike 6.5mm f/2.0 Fisheye is a fine lens at a very reasonable price. 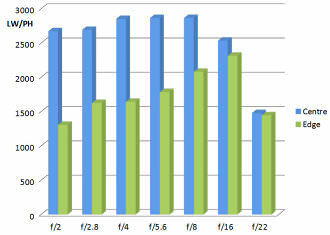 How does the field of view compare when used on MFT to APS-C ? 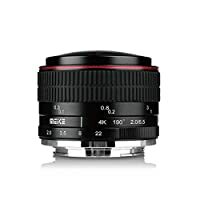 What is the hyperfocal distance of this lens? The field of view is 190 degrees on APS-C, cropped slightly on MFT at the top and bottom of the image. I don't have a precise hyperfocal distance, but at f/8 it would be hard to get anything out of focus at general outdoor distances. Meike themselves might have some figures on their website. The field of view is 190 degrees on APS-C, cropped slightly on MFT at the top and bottom of the image. I don't have a precise hyperfocal distance, but at f/8 it would be hard to get anything out of focus at general outdoor distances. Meike themselves might have some figures on their website. Just ordered one for Sony E mount from a Chinese seller, at £118 must be worth a try, will report on it when it arrives. Taken a few images indoors with my Sony A6000 and a view from the house, very, very impressed so far. The lack of fringing at the edges is notable, much better than expected. In one image the sun is actually in frame and there is no flare across the image. The body of the lens is well finished and the glass looks to be good value. When I get out and about with it I will post a sample. I have used the lens on a couple of occasions. It needs practice to get the best out of it, but I think that is true of any very wide angle lenses. I took this one today, on my Sony a6000 hand held at 1/13 sec ISO 100, f 4 -manual of course, f4 I think. The blob at the bottom is my knee. 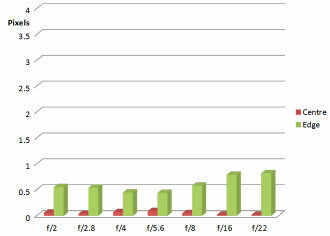 Not a brilliant example but shows the general effect. Needed more care and to have the camera central in the chapel. Some images have a rainbow effect ring outside the image, easily dealt with. This was helped a bit in EFEX.